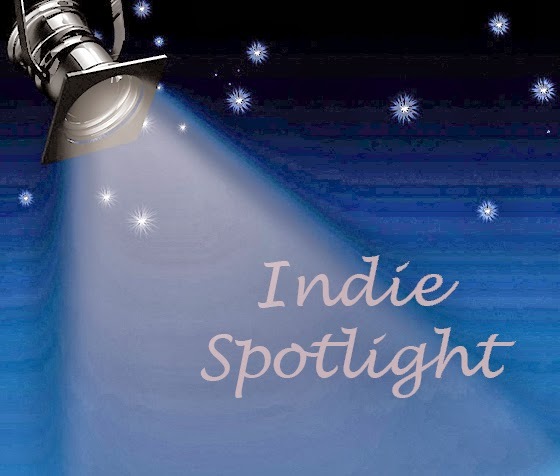 In today's spotlight, author Kate Vane discusses a couple of topics that I sometimes find myself mentally chewing on... where writers find the inspiration for their story ideas, and what sort of day jobs they hold. And I bet you'd be surprised how often the day job, or something tied to it or through it, turns out to be the thing that influences the writing. Most of us don’t think too much about what other people do all day. While our jobs are complex and involved and full of surprising skills and esoteric knowledge, we tend to assume other people’s are straightforward. When I started working in a local authority cemeteries department, I didn’t really know what to expect. But I found it a fascinating world, incorporating history, law, horticulture – you could say, all of life. We had burial records dating back to the mid-nineteenth century. These give invaluable insights into both family and social history. On one occasion we were contacted by a man whose sister was stillborn decades earlier. We were able to locate the grave for him. He told us this helped him face up to a loss he had never discussed with anyone, even his parents. In the UK, the right of burial in a grave (though not the land itself) is an asset with a legal owner. This can make for some difficult situations. What if a man’s last wish was to be buried with his late wife, but her son from a previous marriage owns the right of burial and is refusing permission? Cemeteries are beautiful outdoor spaces, full of mature trees, hedges, nesting birds – and grass. Grass-cutting can lead to endless controversy. Should we give precedence to neatness or nature? One person’s tranquil wildlife meadow is someone else’s unsightly mass of weeds. At the heart of all these issues is how we deal with death. We focus on the details because we can’t face the loss. Although, as with any job, I mostly dealt with the task at hand, I couldn’t help but be affected by the work. This was particularly the case when someone died without friends and family and the local authority had to take charge of the funeral arrangements. In many cases they weren’t poor, or a loner. They had just outlived everyone who was close to them. Often all that we had was their possessions and a few basic facts, like their date of birth or marriage. It’s human nature to try and impose a narrative on these few scraps, to form a picture of who that person was. This led to the idea behind my latest novel, Not the End. In Not the End, a woman drowns after swimming in the sea off the coast of a Devon seaside town. Three people who never met her have their lives changed by her death. Little is known about her, so they each tell themselves a story, which in turn influences how they behave in their own lives. They are the woman who finds the body, the cemetery manager who plans her funeral and the probate researcher (‘heir hunter’) who looks for her heirs. There was a fourth main character, a psychiatric nurse. She survived for an entire first draft, but I felt that she wasn’t working. Her story was about the challenges people face in the caring professions. But I felt I’d covered that before, not least in my first novel, Recognition, which is about a therapist working with the family of a murder victim. So I rewrote the novel without her. It was hard work but I didn’t feel my time had been wasted. She had shaped aspects of the story. Other characters took on some of her insights and her role in the plot. In a book which partly deals with themes of absence and things that are ‘not’, it seems appropriate that Not the End is haunted by a character who isn’t there. 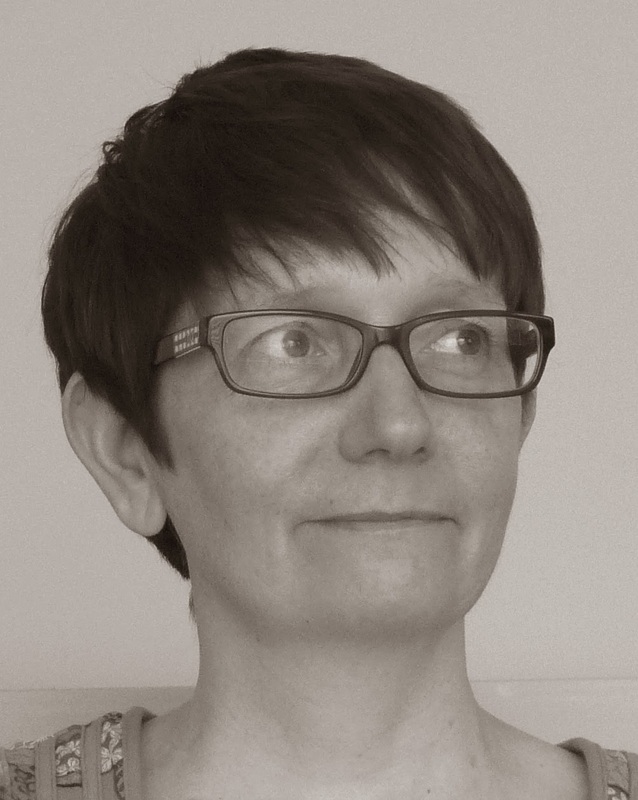 Kate Vane lives in Devon in the UK. She is the author of two novels. 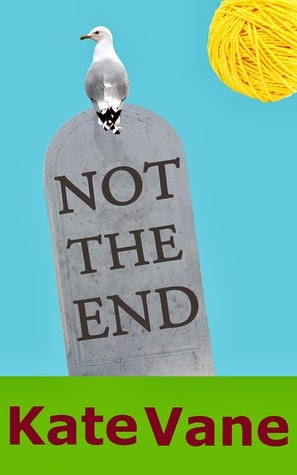 Not the End is a novel about art, life and cemetery management, set against the backdrop of a summer heatwave in a Devon seaside town. Recognition is a psychological crime novel set in Leeds. I'm excited to read this book! I read the first 10 or so pages and was blown away. Thanks for sharing, Kate! I didn't know this information about cemeteries, especially the fact that a lot of people outlive all those who surrounded them. Thanks, Melanie! Hope you enjoy the book. I think a cemetery offers endless material for writing, and it doesn't have to be about death. I'm always interested in the lists of names of family graves, imagining the connections between them. And there's lots of possibllity for black comedy in the observation of funerals!